Whether you’re looking for a job as a CFO, an accountant, a finance project manager or a tax specialist, you’ll be wanting to attract the attention of a certain level of management when job hunting as a finance executive. Recruitment trends are evolving, but the CV (or resume) remains a vital step in the job-seeking and finding process. Traditionally, the CV was the first port of call for hiring companies. Today, the hiring company might screen employees using online profiles such as LinkedIn first. But for those finance executives who make it to the second tier of interest, the potential employer will most certainly still be requesting and scrutinising your CV. With that in mind, here are some tips from for making this important document more accessible and ultimately, more likely to land you an interview. 1. List achievements rather than skillsets. In other words, anyone can say that they are good with numbers, meticulous, hard working and possess leadership skills. However, if you can say that you helped to double revenue and increase margin by 10% over 5 years at your previous company, that’s something which strongly backs up your claims. A hiring manager is looking for measurable milestones of success in a finance executive. Look to communicate your success in numbers or other quantitative measures. Saying you were a “highly effective” finance executive does not have as much gravitas as saying you managed to halve the business’s operating costs. 2. Stay away from financial jargon. “Despite your understanding of KPIs, ROI, DSOs and RFPs, not all executives live in the world of financial jargon,” Rangel points out. Even though, as a finance executive, you will be answering to a leader or leaders with financial acumen of some sort, chances are that your CV will first be read by someone in Human Resources. Assume that no one reading your CV has a financial background, explain confusing acronyms and write in a clear manner to a general audience. 3. Highlight soft skills along with financial achievements. Skills such as communication and conflict resolution are becoming more and more valued by hiring companies – and with good reason. Even though you’ll be overseeing (or counting) money, you’ll also be managing people and be expected to coordinate efforts between departments and team members. A good way to illustrate your people skills and communication skills is by citing examples when you needed to put these to use. For example, have you mentored anyone in a formal capacity? Participated in a conflict resolution course? Are you a member of Toast-masters, or do you have some form of public speaking experience? If so, include it in the document. 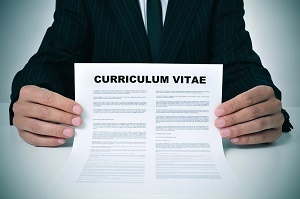 Another way of conveying communication skills is by making sure your CV attests to them. If your CV is clearly well-written, void of grammar and spelling mistakes and well-laid out, your potential employer is likely to assume that your interpersonal communication skills are good too. As a finance executive, your future employer is likely to make assumptions about you within a few seconds of glancing at your CV. Make sure that you put your best foot forward by following these tips and striving to convey your personality in your CV. And remember: if your company is looking for the assistance of a well-trained, experienced finance executive, get in touch with The Finance Team. We will help connect you with the right professional who can assist for the period of time that your company needs. As a small business owner, you often feel like a one-man band. You’re beating the drums one minute, strumming the guitar the next, and taking a moment to tune the bass while simultaneously blowing the harmonica. There are twenty places to be, phone calls to make, emails to return, meetings to hold and spreadsheets to look at, at any given time. It goes without saying that with so many things to do, certain things will be a little neglected, and others will get overlooked entirely. Sometimes we prioritise the most urgent things first, or those that will have the biggest impact on the bottom line. Often it’s the things like planning that get neglected – things that, in the short term, have little impact on the profitability of the business, but in the long term have everything to do with its success. Chief among them is the financial planning and management of the company. It’s easy to hire a bookkeeper or accountant to make sure that the operational financial requirements of the business are taken care of. But what about when you’re plotting the future course of your company? When you’re deciding how to price a new service, or how aggressively to roll out a product in a new market? How do you tackle complicated tax reporting requirements? These are just a few scenarios in which you need the input of a finance executive. It’s input which, unless you are a qualified financial professional, you won’t be able to provide yourself. 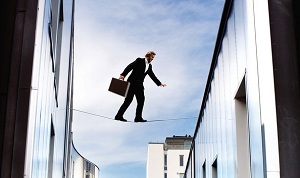 Many small and medium enterprises try to circumvent hiring a finance executive. The biggest reason is the cost factor: many feel that having such a senior employee is prohibitively expensive for a small business. Another reason is that they feel the resource will be under-utilised. Yes, the business needs high level strategic insight that only a finance executive can provide – but not every working day. Or at tax season, they need the input of a finance executive, but for the rest of the year, a bookkeeper can adequately cover the company’s reports to the South African Revenue Service. So, they rationalize: rather go without the input of a finance executive for the time that it’s needed, than foot the full time bill of a finance executive for input that is only needed part-time. What many SMME owners and management don’t yet realise is that there is another scenario which strikes a balance between the two extremes. The part-time finance executive responds to the reality that small businesses need high-level financial input only some of the time. Part time finance executives are brought into the business on an ad hoc basis. They provide strategic perspective when it comes to planning for the long term. Their experience helps them identify future pitfalls and opportunities for the company, and they are able to help business owners pinpoint the right time to take advantage of the latter. They can come in during tax season, to ensure that all requirements are met and that the company is up to date with the latest iterations of tax law. They can help prepare for the external audit process. SMME owners also find that finance executives can provide arms-length input into planning sessions. They have sufficient distance from the business to help scrutinize ideas and plans for the business, and to determine whether they are feasible or a mere shot in the dark. The beauty about the part-time executive is that the company only pays for the necessary time from the professional, and no more. While there is of course still a cost involved, the long term benefit derived from their input far outweighs this. Many SMME owners that are making use of such a professional attest to this. If your company could use some of the benefit of a part time finance director, The Finance Team can assist. We draw from a network of qualified associates who are highly experienced, and are available for the time you need them, however short or long that may be. They don’t pick up the universal flack that lawyers and politicians do, but accountants certainly enjoy their share of bad rap when it comes to generalizations about the profession. If you’ve decided to hire a finance executive, you’ve probably got a set of expectations in your mind about the kind of person he or she will be, and the roles they will fulfill. Research has shown that finance executives do tend to show certain personality traits. Among them are an attention to detail, a relish for conformism, and often a level of introversion or a lack of affinity for interaction with people. The joke often goes that an extravert accountant is one who looks at your shoes instead of his when talking. This may well be true, but don’t feel like you are consigned to a deadbeat personality if you’re looking to hire a competent finance executive. In fact, research shows you should actively seek for the opposite. Who you need and what character traits you seek out will depend on the role you are looking to fill, but there are a few universal pointers to seek out. Bluefront Capital suggests that your candidate will more likely excel in his or her role if he exhibits these (among other) attributes. Financial foresight: It’s one thing to be a competent technocrat – which in and of itself is highly important – but a senior financial executive needs to be able to anticipate financial management issues and opportunities before they hit. It’s the difference between being a guard on the ground and a watchman in a watch-tower: critical dangers can be pre-empted rather than reacted to. Excellent communication skills: Finding a finance executive who has the gift of the gab is no mean feat. Accountants are generally not marked for their talking skills, and this was a trait traditionally overlooked in favour of other “harder” competencies. But business owners and executives are identifying the ability of a finance executive to effectively and timeously communicate financial needs and implications for the business as an essential trait. If communication sounds like a soft skill to you, wait until your CFO or financial manager neglects to tell you that a current project has way overshot costs or that salaries will need to be paid late this month. A deep understanding of business: If your finance executive has at least a four-year commerce degree and some experience under their belt, you would assume this goes without saying. However, as corporates become more and more juniorised – the product of labour laws and shrinking recruitment budgets — true, valuable insight into the workings of the business becomes more difficult to find. Pick someone who has worked in the industry in which you operate, and who has a trial and error appreciation of some of the difficulties they will be facing. Risk perspective: This is an area that especially requires a good fit between your business and the finance executive you take on. If your finance executive has got a gung-ho, never say die approach to risk but the business has outlined a more conservative growth path, chances are you will come to blows in a number of key areas. Conversely, if you’ve identified an aggressive growth strategy, you’ll want a finance executive who catches your vision rather than one who is constantly shaking his head at the risks you propose. Results-orientated nature: Bluefront Capital describes it this way: “The ability to set goals that are specific, measurable, achievable, relevant and traceable.” Finance is an inherently measurable discipline, but the finance executive you hire might be the only one able to measure it. He or she should seek for opportunities to meet measurable outputs, rather than shrink from them. Beware of an officer who clouds his reporting in vagueness. Look rather for one who aims for clarity and transparency. The Finance Team, through our director level involvement and experience, focuses on experience and “fit” to identify the strengths of various finance executives in our network. We can help you identify a suitable finance executive at the level you need him or her; someone who fits the traits you are looking for and only works for the amount of time you need them, reducing your overall cost and ensuring the benefits.